Soave is So-a-Ve-ry Good - City Vino, Inc.
Soave (pronounced So-AH-Ve) is a dry white wine from northern Italy, around the town of Verona. Made from predominantly Garganega, these wines have delicate lemon, melon and stone fruit flavors with a nutty almond quality. Wines from the western portion of the region, where the soil is more limestone-based, may also exhibit floral aromas. Soave gained popularity in America after WWII, when the style was more oak-driven. However, as its popularity grew and more producers tried to cash in on that popularity, the quality of the wines began to decline. The combination of declining quality and cultural preferences shifting more toward crisp Pinot Grigios and unoaked Chardonnays led to Soave's falling out of favor in the American wine market. As a new generation of winemakers has taken control in Soave, the production has shifted from using new oak barrels, which can overwhelm the delicate flavors of Garganega, to using stainless steel and neutral oak so that the flavors of the fruit and the terroir become the focus. 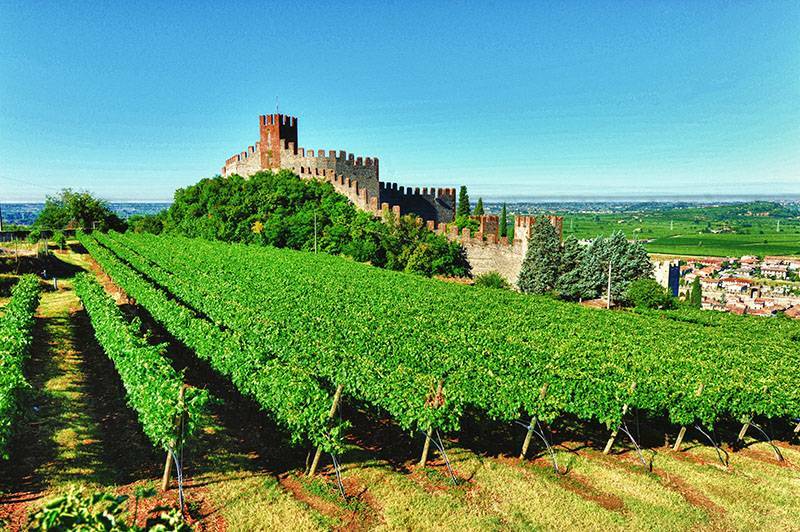 The beauty of Soave is its value and versatility. With many great examples of Soave available for under $15, you don’t have to spend a fortune to enjoy a wine that pairs well with a wide variety of dishes and can easily be enjoyed on its own. Part of the versatility of Soave is the wide array of foods that can pair with this wine. Serve Soave with appetizers, cheeses and charcuterie, vegetable- and pasta-based salads, sushi and light fish dishes, grilled chicken or pork, and anything with pesto. The versatility of this wine extends to the manner in which is can be produced. The natural acidity of Soave enables this wine to be made in a sparkling style and a sweet style, wherein the grapes are dried for several months before being pressed. Poised for a resurgence in popularity, Soave is read for you to discover, or re-discover it as your versatile, everyday value wine.